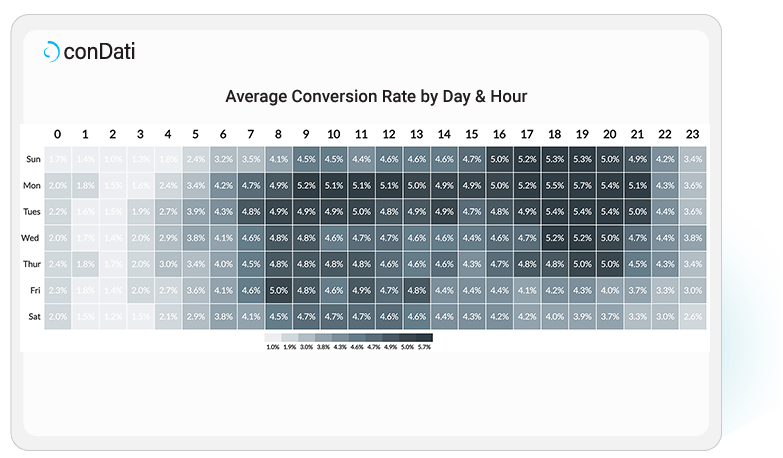 Do you know the best days & times to launch ads? Do you know which campaigns in which channels give you the highest conversion rate? How would accurate revenue forecasting change the way you plan your digital marketing campaigns? There is too much marketing data for humans to watch it all. 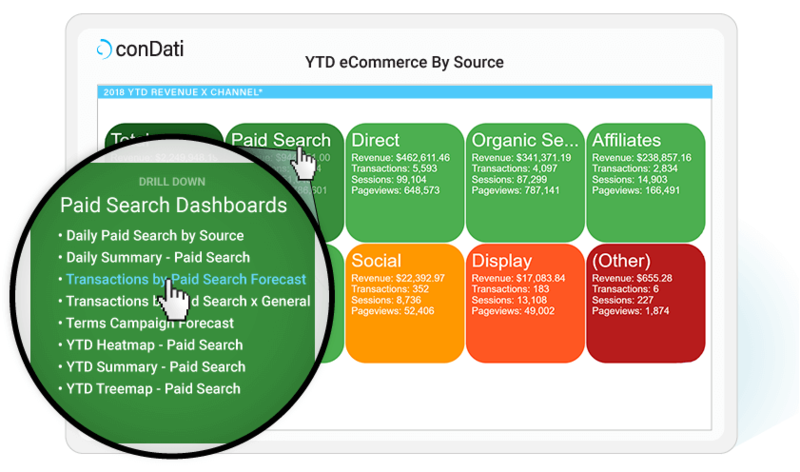 conDati Marketing Analytics monitors campaign performance across all your channels, and gives you real-time insights on what you need to know. Allocate marketing spend among campaigns and channels based on the future, not the past. Shift spend to the campaigns, channels, and platforms that will perform the best. Improve conversion rates, increase revenue, and boost your Return On Ad Spend (ROAS). There’s nothing to lose. conDati does all the heavy lifting of data import, data management, and data science. You see the results. No commitment: If we can’t help you improve your business in 30 days, walk away.